Rebel Legion :: View topic - New to the Rebel Legion but not new to R2 Building! Posted: Mon Jan 16, 2017 6:03 pm Post subject: New to the Rebel Legion but not new to R2 Building! Man, we just let anybody be a rebel these days. Slick! 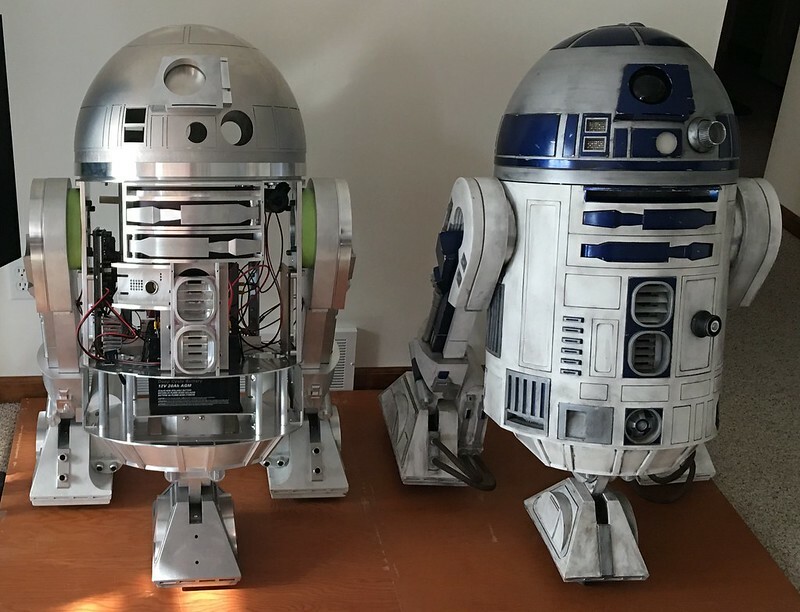 Looks like the in-progress R2 is capable of 2-leg to 3-leg articulation? A pair of very nice droids, Ripcode ( can't wait to get my own astromech finished ). That is just how the center leg mount is designed in most of the later frames. Most never adapt it for 2-3-2 because of the complication of making everything work, and not having the droid fall on it's face. If it were built for 2-3-2 articulation the battery would not be placed over the center leg. All of that extra hardware takes up a lot of space inside the body. I've seen the roster.. and yes, they do! Maybe Droid #3 will be 2-3-2. One of the forum moderators can add it to your profile. You will have to ask one of them as most don't often visit the droids section. I'm not sure who the current mods are at the moment.